Also known as the “Student Right-to-Know and Campus Security Act” (P.L. 101-542), which was passed by Congress November 9, 1990. Title I, Section 103, requires institutions eligible for Title IV funding to calculate completion or graduation rates of certificate- or degree-seeking, full-time students entering that institution, and to disclose these rates to all students and prospective students. 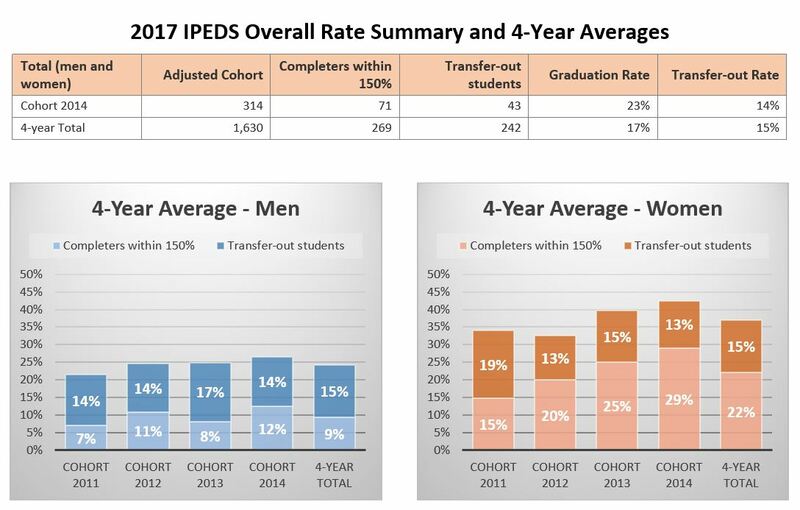 Further, Section 104 requires each institution that participates in any Title IV program and is attended by students receiving athletically-related student aid to submit a report to the Secretary of Education annually. 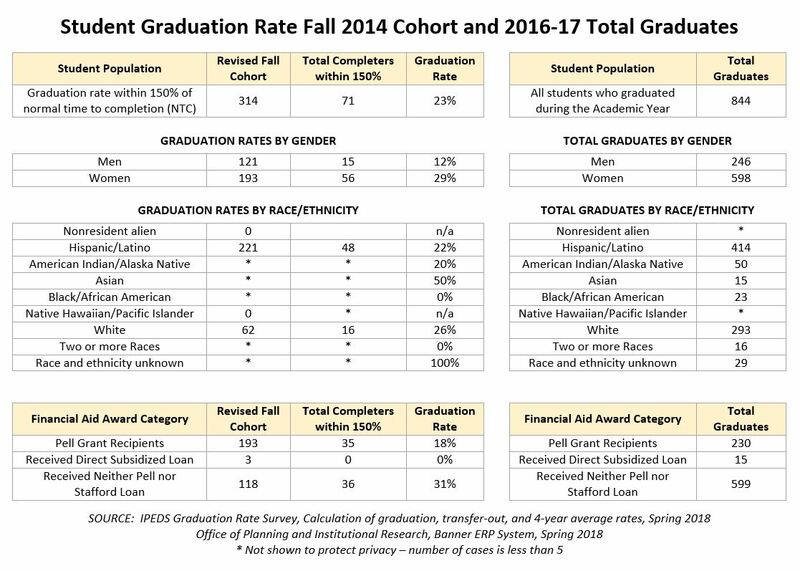 This report is to contain, among other things, graduation/completion rates of all students as well as students receiving athletically-related student aid by race/ethnicity and gender and by sport, and the average completion or graduation rate for the four most recent years. These data are also required to be disclosed to parents, coaches, and potential student athletes when the institution offers athletically-related student aid. Visit our Degrees and Certificates web page for a complete list of programs.